Everyone loves a good sale. The only problem is, scammers do too. Recently, scammers have been targeting consumers on social media with misleading ads for sales that claim to offer deeply discounted name brand products. You are scrolling through your social media feed when you come across an advertisement that offers name brand shoes, clothes, or electronics for a great price. One recent ad promoted discounts of up to 95% off! If you click on the ad or type in the promoted URL, it will lead you to a website where you can "shop the deals." But, unfortunately, many scammers never intend to send you anything at all. They simply steal your credit card information when you are prompted to pay. Other scammers do mail you a product, but it's a cheap counterfeit/knockoff . In other versions of this scam the phony sites can download malware onto your computer and give scammers access to your personal information, password history, and more. For more information about HTTPs, see BBB.org/BBBsecure. 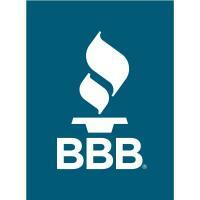 For ways to protect yourself from scammers when shopping online, read BBB.org/ShoppingOnline. For tips on avoiding scams and fraud, check out BBB.org/AvoidScams. If you've been the victim of an online shopping scam, warn other consumers by reporting the incident in BBB.org/ScamTracker. Nominations for this years' program are now being accepted. Brochures with applications were mailed out before Christmas and applications can also be downloaded and completed online at bbb.org/nwfl/torchaward. Entries for all award categories must be postmarked or delivered to the BBB office by 2 p.m, on March 15, 2019. Torch Award for Ethics: This award was created to publicly recognize businesses and charities that maintain a solid commitment to conducting their business practices in an ethical manner. Customer Service Excellence: This award recognizes individuals who go above and beyond in their customer service activities. Student Ethics Scholarship: This scholarship recognizes high school juniors and seniors for their commitment to ethical behavior and personal integrity. Each student selected receives a $1,000 scholarship to the college or university of their choice.